The National Security Strategy and Strategic Defence and Security Review 2015 sets out the government's approach to national security. - Submarines on patrol will continue to carry 40 nuclear warheads and no more than eight operational missiles. We will retain no more than 120 operationally available warheads and, by the mid-2020s, we will reduce the overall nuclear weapon stockpile to no more than 180 warheads,meeting the commitments set out in the 2010 SDSR. - Work continues to determine the optimum life of the UK’s existing nuclear warhead stockpile and the range of replacement options. A replacement warhead is not required until at least the late 2030s, possibly later. Given lead times, however, a decision on replacing the warhead may be required in this Parliament or early in the next. In the meantime, we continue to invest significantly in the Atomic Weapons Establishment to maintain the facilities and skills necessary to assure the safety and security of the current stockpile, and to sustain the ability to develop a replacement warhead when we need to do so. - We will also increase our support to Lebanon and Jordan to reinforce their security and help them deal with the mass influx of refugees. - We will continue to work closely with the Falkland Islanders to defend their right to selfdetermination, which is enshrined in the Charter of the UN. They face an unjustified claim of ownership from Argentina. We judge the risk of a military attack to be low, but we will retain a deterrence posture, with sufficient military forces in the region, including Royal Navy warships, Army units and RAF Typhoon aircraft. We will invest up to £300 million over the next 10 years to enhance operational communications, renew the existing air defence system and upgrade infrastructure. - We have increased the manning of the Royal Navy Gibraltar Squadron and improved our ability to monitor Gibraltar’s territorial waters. We will continue to challenge all incursions. In Cyprus, two Army infantry battalions contribute to the security of the Sovereign Base Areas and we are increasing manning levels at RAF Akrotiri airfield to provide better support to ongoing operations against ISIL and in the wider region. able to deploy rapidly over long distances using the new Ajax armoured vehicles and new mechanised infantry vehicles. They will double the number of brigades ready for operations. With these, and 16 Air Assault Brigade’s very high readiness forces, we will improve our ability to respond to all likely threats. - Complex weapons, including Stormshadow and Brimstone missiles, which offer unrivalled precision. We will continue to invest further in new precision weapons to sustain our battle-winning capabilities. - More than 20 new Protector armed remotely piloted aircraft, more than doubling the number of the Reaper aircraft which they replace. - Upgraded aircraft to gather intelligence and detect and track targets, both on the ground and in the air. Sentinel will be extended in service into the next decade; Shadow until at least 2030; and Sentry and Rivet Joint until 2035. - We will also adapt one of our existing Voyager aircraft so that, as well as its primary air tanking role, it can transport senior Ministers securely, delivering better value for money than the current use of charter aircraft. The aircraft would also be available to the Royal Family. - investigate further the potential of the Type 45 Destroyers to operate in a Ballistic Missile Defence role. - introduction of eight advanced Type 26 Global Combat Ships, which will start to replace our current Type 23 frigates in their anti-submarine role. - We will also launch a concept study and then design and build a new class of lighter, flexible general purpose frigates so that by the 2030s we can further increase the total number of frigates and destroyers. - Royal Marines of 3 Commando Brigade who are trained and equipped to provide specialist amphibious and Arctic warfare capabilities. - We will work with France to develop our Unmanned Combat Air System programme, and collaborate on complex weapons. - We will further strengthen the UK-France defence and security relationship. Our Combined Joint Expeditionary Force, which will be operational in 2016, will provide a potent combined reaction force of up to 10,000 personnel available to plan for and respond to crises, including beyond Europe. We are working with the French Navy to ensure that we exploit the shared opportunities when the Royal Navy’s aircraft carriers come into service. The Army’s high readiness 16 Air Assault Brigade is developing strong links with its French counterparts. Our air forces work closely together on operations in the Middle East and North Africa. We are also working together on how our militaries can further contribute to domestic security in our respective countries. - We are also expanding our equipment collaboration, including through the development of a joint future Unmanned Combat Air System programme and Maritime Mine Counter Measure demonstrator, procurement and development of missiles, and maximising common supply chain efficiencies. We will continue developing our joint nuclear facilities in France and the UK. Официальное СМИ Британской армии гордо сообщить о самой массовой выброске парашютистов за последние 10 лет. на 31 млрд фунтов построят 4 новых ПЛАРБ. Армии США и Франции располагают «средними» («medium weight») общевойсковыми бригадами, оснащенными семействами колесных бронированных машин, способных быстро перемещаться на большие расстояния. Британская армия в настоящее время испытывает недостаток в соединениях данного типа. "Стратегический обзор в области обороны и безопасности" (Strategic Defence and Security Review, SDSR) 2015 года обозначил необходимость восстановления Великобританией ее военного потенциала в проведении крупномасштабных боевых действий, что включает создание двух ударных бригад (Strike Вrigades), а также увеличение общего числа боеготовых бригад британской армии с четырех до пяти. Их планировалось сформировать, в частности, за счет реорганизации одной из существующих бронетанковых бригад. • Артиллерийские, инженерные, материально-технические и медицинские подразделения и части. Мотопехотные батальоны ударных бригад будут использовать перспективные колесные бронетранспортеры MIV (Mechanised Infantry Vehicle). Армия заинтересована в скорейшем принятии MIV на вооружение, однако машина еще не выбрана в соответствующем тендере и не были объявлены сроки поставок. Другой основной системой вооружений ударных бригад должна стать гусеничная боевая разведывательная машина Ajax, созданная на базе боевой машины пехоты General Dynamics ASCOD 2. В то время как MIV позволит повысить мобильность мотопехотных батальонов до уровня, соответствующего армиям Франции или США, Ajax, несмотря на свою хорошую защищенность и способность преодолевать пересеченную местность, скорее всего, будет перемещаться медленнее на длинные дистанции. В сравнении с французскими и американскими аналогами, британские ударные бригады вряд ли смогут так же быстро перебрасывать полный состав на большие расстояния. Французский батальон, например, смог преодолеть расстояние в 2 тыс. километров за пять дней в ходе военной операции в Мали в 2013 году. В ответ на ухудшение ситуации в области европейской безопасности и возникновение России в качестве стратегического соперника, в SDSR были выдвинуты два ключевых требования к британской армии: восстановить возможность использования в полном составе трех бригад, а также формирование из имеющегося состава вооруженных сил дополнительных боеготовых бригад. Единственное готовое к развертыванию соединение британской армии, 3-я дивизия, проходит реорганизацию с увеличением состава с трех до четырех бригад: две существующие мотопехотные бригады и две новые ударные бригады. Вне зависимости от SDSR также представляется, что количество находящихся в строю основных танков Challenger 2 сократится с трех полков до двух, а еще один полк будет перевооружен вооружен машинами Ajax. Учитывая возросшее значение танков, продемонстрированное войнами в Ираке и Сирии, а также боями на востоке Украины, вышеуказанное решение может показаться противоречащим здравому смыслу сокращением ударной мощи. Однако некоторые из связанных с этим рисков смягчаются за счет того, что армия финансирует программу продления срока службы танков Challenger 2. Интересный состав дивизии нового образца ВС ВБ. At the heart of SDSR 2015 is the creation of a warfighting division, which will be constructed to meet the resurgent threat of conflict with a peer adversary. It will consist of 40,000 troops comprised of two Armoured Infantry brigades and a Strike Brigade, together with associated combat and combat service support elements, which can deploy at speed. 14. A modernised warfighting division, centred on 3 (UK) Division, would comprise four brigades (two Armoured Infantry and two Strike) to replace the existing three Armoured Infantry Brigades.23 The MoD considered this to be a significant uplift in capability with one of each type of brigade held at high readiness rather than the current single Armoured Infantry brigade. This would enable the Army to deploy a “credible division of three brigades” at a time of crisis. 21. The warfighting division will consist of three brigades, drawing on two Armoured Infantry Brigades and one of the two new Strike Brigades,together with associated combat and combat service support elements. 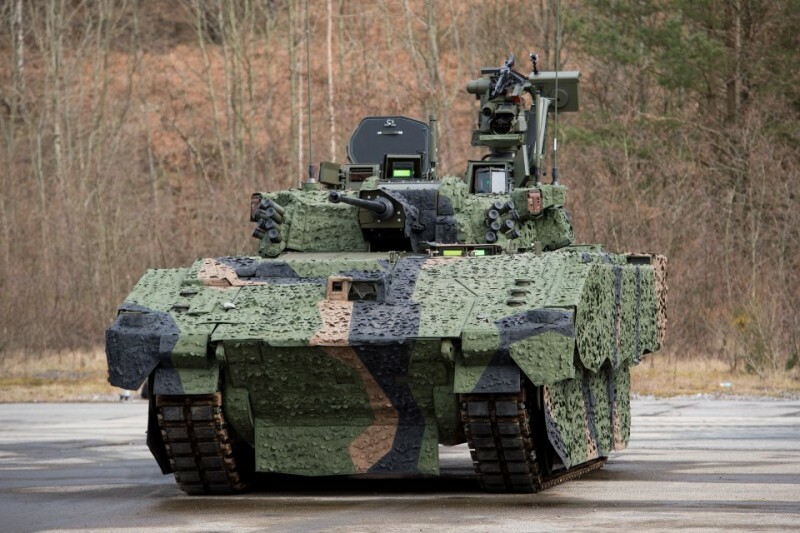 The two Strike Brigades will be able to deploy rapidly over long distances using the new AJAX armoured vehicles and new Mechanised Infantry Vehicles. • 50 Apollo Support Repair: repairs and tows damaged vehicles. Я на одного чувака-британца в твитере подписан, он только и делает что ругается на правительство, которе все полимеры в армии просрало. Великобритания создаст 2 эскадрильи патрульных противолодочных самолётов P-8 Poseidon. 120 и 201 эскадрильи будут базироваться на авиабазе RAF Lossiemouth с 2018 года.